I've always loved coloring my hair, and now I kind of I have to because my first whites are starting to show. I also hate the mess of the actual application process and I'm not willing to spend money or time at the haidresser's every 5 or 6 weeks. So, anything that makes the dyeing process at home easier is very much appreciated by me. That's why I love bubble dyes: they're really easy to apply and less messy than cream dyes. 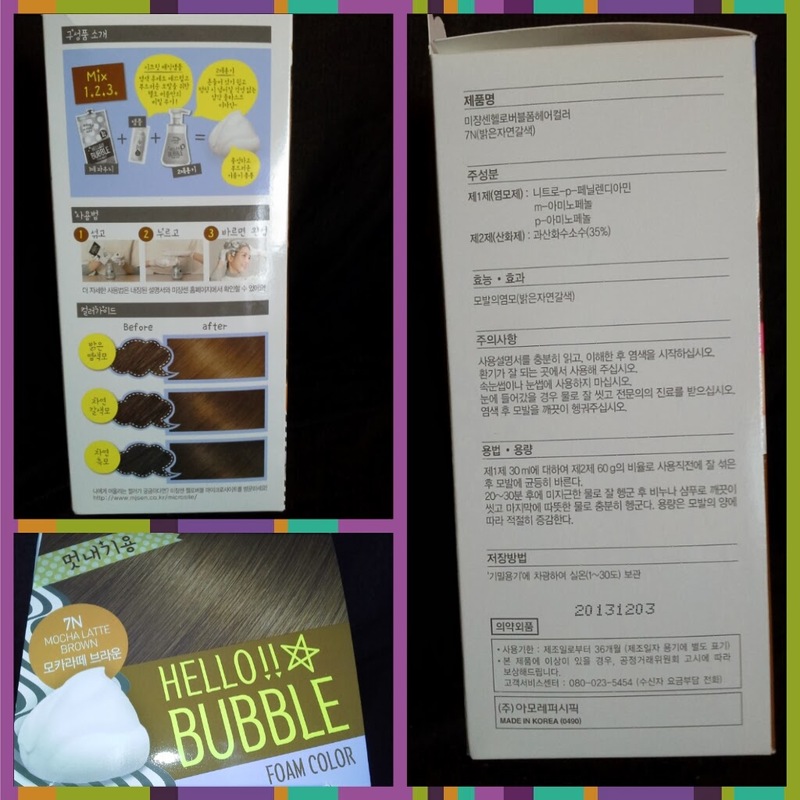 So far, I had only tried the Sublime Mousse by L'Orèal but since this kind of foam hair dyes are very popular in Korea, I decided to get a couple of them while I was in Seoul. 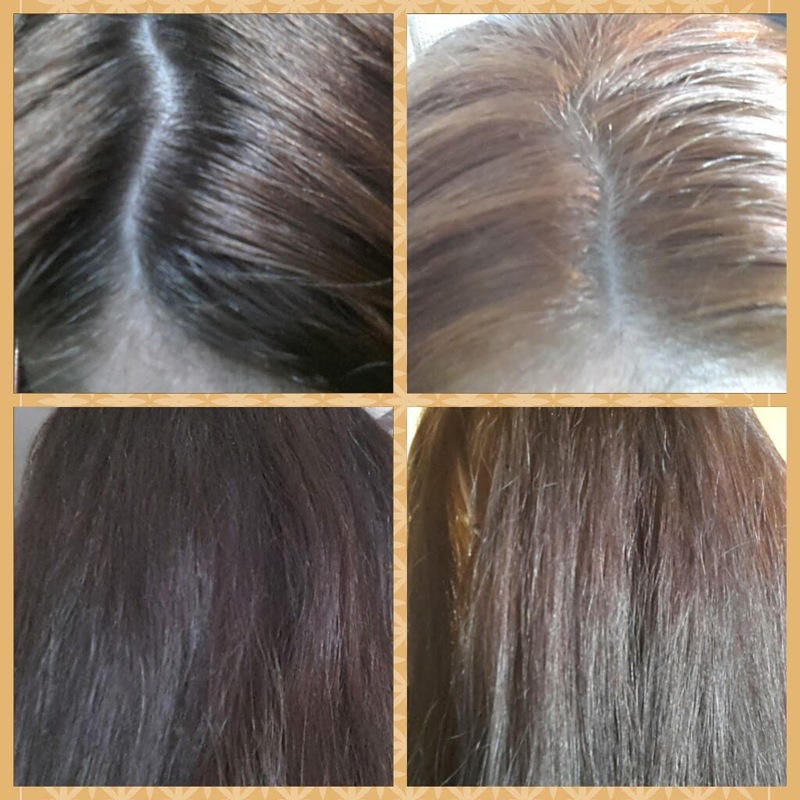 This review is of shade 7N Mocha latte brown by Mise en scène. Plastic bottle with the developer liquid in it. Bag with the color in it. Damage care hair pack. It contains argan oil, protein & rose water. Despite beeing a light brown coppery color, the foam had a mauvish/greyish hue to it that is typical of blonde dies. The smell was not overpowering, which is something I appreciate. It didn't make my scalp itchy, which almost made me wanna kiss the bottle, because I always end up with an itchy scalp during and after coloring my hair. As you can see, it got blonder. It looks blonder in the pictures than it was in real life though, maybe because of the lighting, but it was still pretty orange. And, look at those roots! It was time to color my hair again and for that, I chose the other hair dye I bought in Seoul. 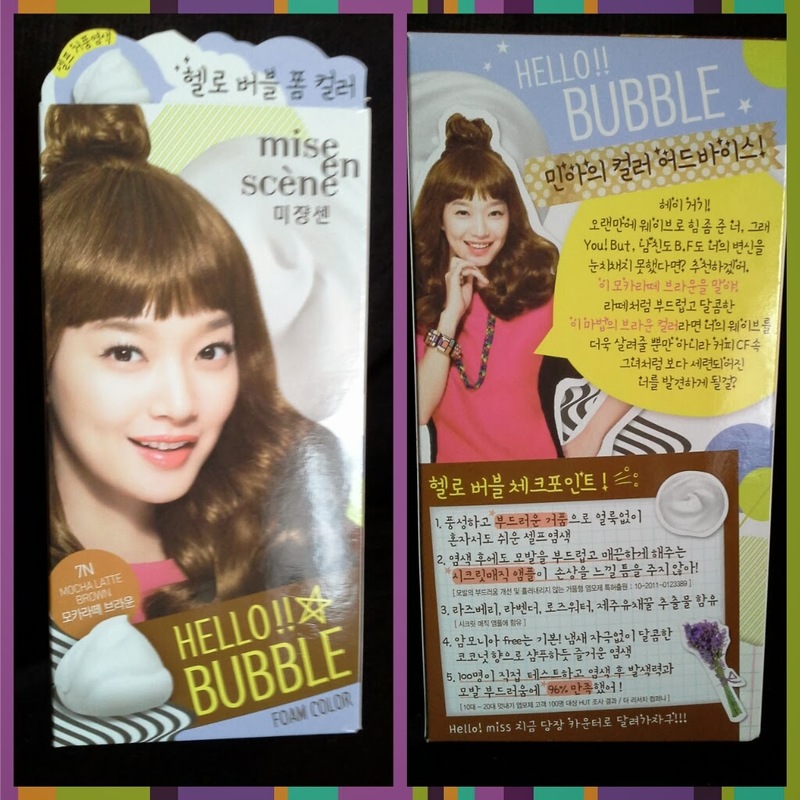 : Bubble Hair Coloring by Etude House, in color number 7 Mocha Pink. So, if you're interested in this product, I'll make a review of it most likely in a couple of weeks. What about you? 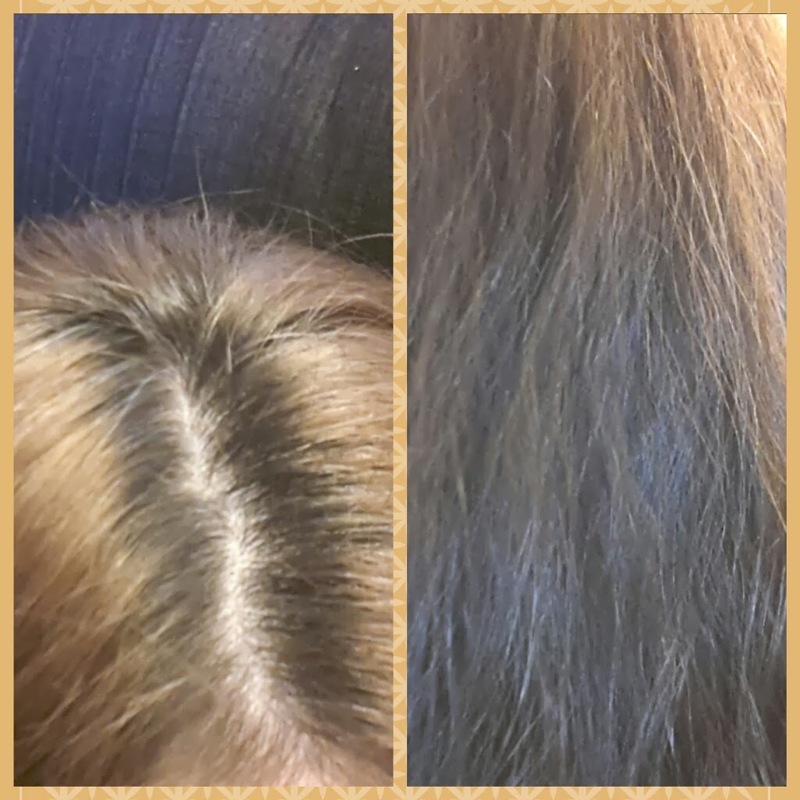 Do you dye your hair at home? Have you ever tried a foam/bubble dye? Mente despierta e inquieta, interesada en tantos aspectos de la vida como días tiene un siglo. Tema Picture Window. Imágenes del tema: ArdenSt. Con la tecnología de Blogger.